WOW- What a deal! For those parents wanting to get their children into a mattress that is eco friendly, extremely durable and yet extremely comfortable, we've got the bed for you. 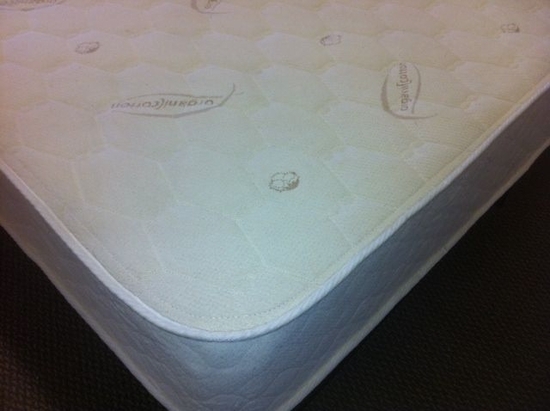 As a manufacturer of latex mattresses we often get asked to make custom sizes. As such we also generate quite a bit of what we call "fall off" latex. These are usually 18" to 30" pieces cutoff from a Queen or TwinXL Talalay latex core. We then take these pieces and laminate them together with GREENGUARD Gold adhesive to make a Twin or Full size latex core which is then covered in our organic cotton cover on both sides. This model is 6" of latex and does not have a zipper and is fully assembled and reversible when it arrives. Overall is about 6 1/2" thick. We also offer this in Full size for those who have the Full on bottom Twin on top style bunk beds. These latex mattresses for kids can also be used for adults. The "soft" configuration works best for children and on into their late teens and is my personal recommendation based on use with my own children. Soft is still very supportive especially for children. The "soft" rating is actually based on adult sizes so it will feel firmer to a child. Soft is #28 ILD, medium #32 and firm #36. 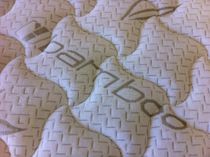 Our latest variety features 3" of soft talalay on top of 3" of firm talalay making a reversible feel of either soft or firm. Works well if you are not sure which way to go. The lamination seams cannot be felt and this becomes a win win scenario for both you and us. We get to use up our fall off material and you save 50% off our normal $595 Twin price for our Solid Core model. Best of all you still get our 20 year warranty. I made my own kids beds in just this same fashion years ago when we generated very little fall off but with our business growing so fast we have too much and generating more everyday. These are made with our Blended Talalay latex.